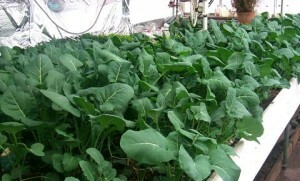 This is a great time to begin some cool weather crops such as lettuce, broccoli and radish seeds. Who does not love garden lettuce freshly grown in their greenhouse. A great February growing tip. Lettuce – February Greenhouse Planting : lettuce seeds get planted in rich, well-drained soil and near the surface where they can get a little light (this helps with germination). Since lettuce has such shallow roots, transplanting can be cumbersome so plant in large container. 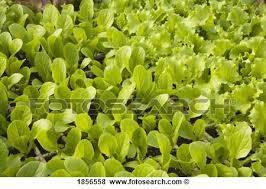 Plant leaf lettuce and expect a crop in 50 to 80 days. You might want to plant some sweet alyssum between lettuce rows to attract predatory insects that feed on aphids. Radish -February Greenhouse Planting : radishes about 1/4″ deep about 2 to 4″ apart in your greenhouse in February. 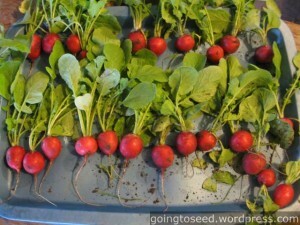 Radishes need long periods of daylight for fast maturity so you might want to keep them under a fluorescent grow light. It would be best to keep your greenhouse temperature between 45ƒ and 50ƒ at night (temperatures that are too warm can lead to non-edible radishes). Radishes are high in vitamin C, folate, and fiber. Broccoli -February Greenhouse Planting : broccoli . Broccoli takes about 2-3 months to mature. When you harvest the central head before flowering, you will continue to get smaller side sprouts. You will get bigger heads when you keep the broccoli cool. Broccoli has vitamin C, calcium, vitamin A, potassium, folate, iron, and fiber . February Greenhouse Planting. YOU can start frost-tolerant crops , according to your local climate. In most areas of the country these can be started in January then hardened off and moved to the garden in February or early March. Some frost-tolerant vegetables include beets, Brussels sprouts, spinach, parsley, kale, carrots and collard greens. Remember, these vegetables are frost-tolerant but are not tolerant of deep, extended freezes. ENJOY February Greenhouse Planting in your Solar Gem Greenhouse.